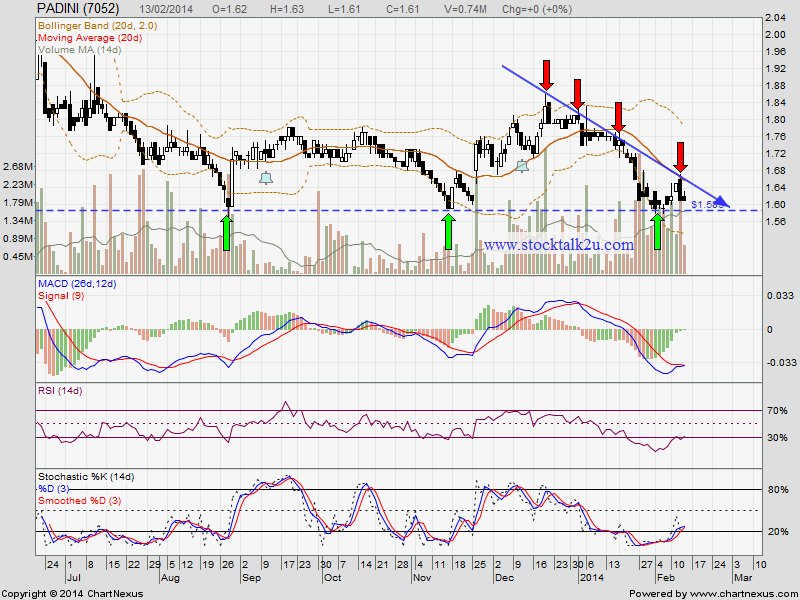 PADINI retest RM1.585 support level. Will it rebound ? Or break the support level? Stochastic %K trigger SELL call again, pending confirmation. Immediate support @ RM1.585 level. Once it break the strong support, it might be high selling pressure.